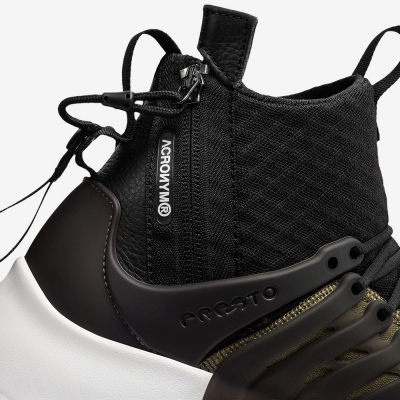 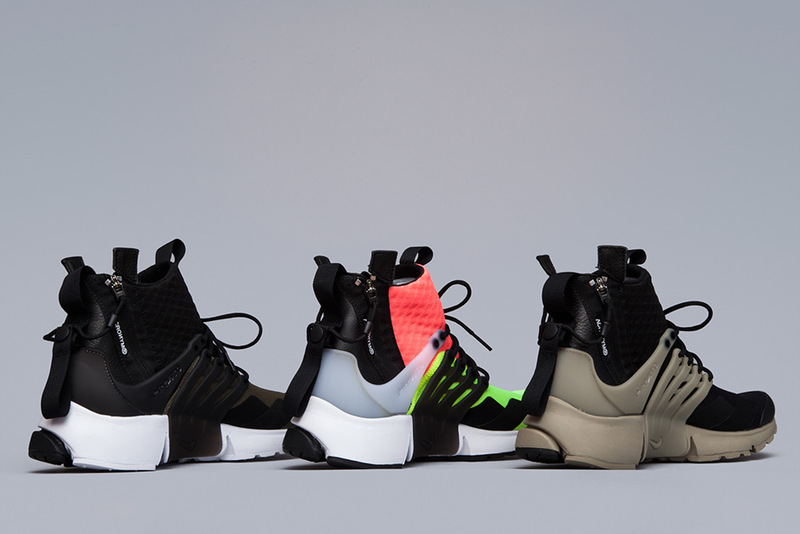 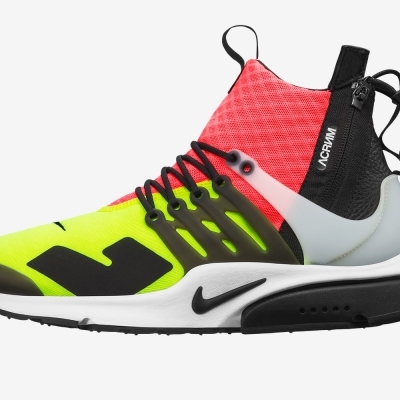 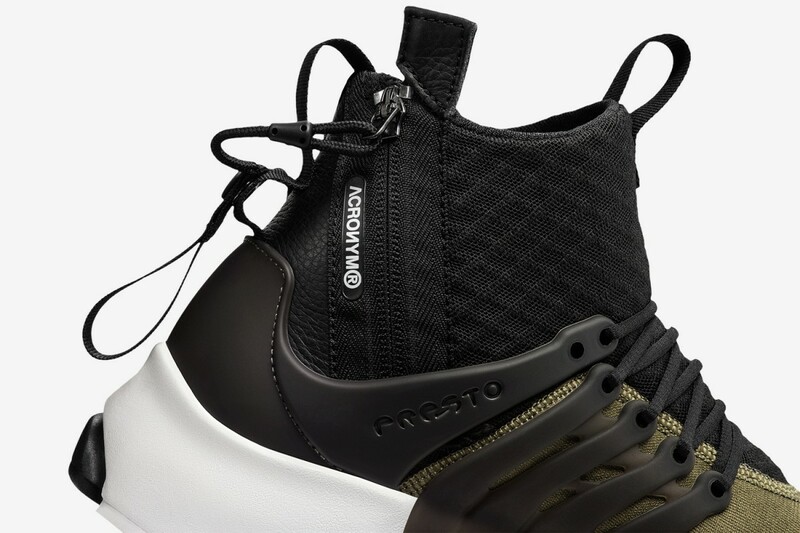 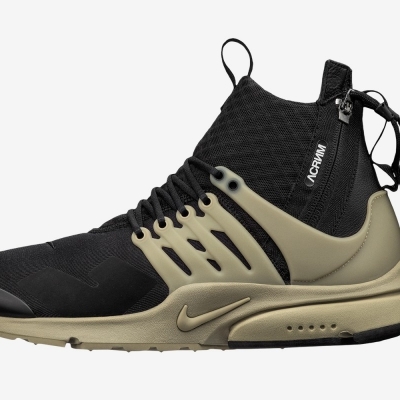 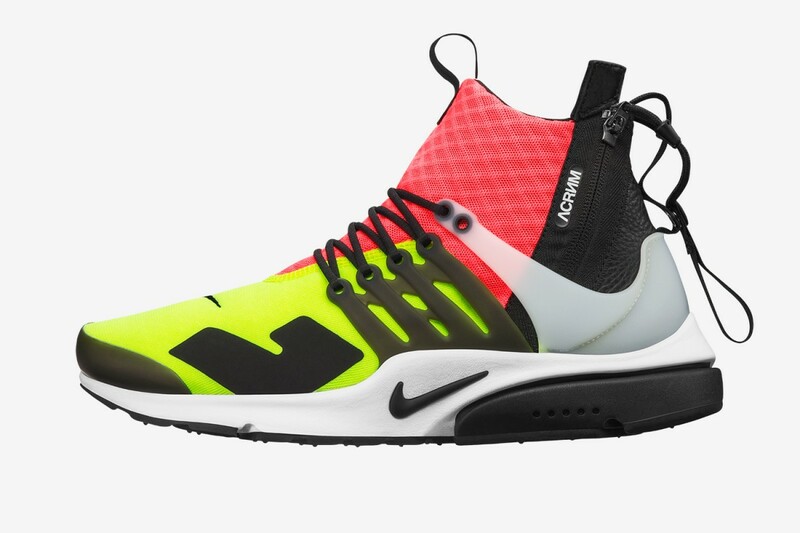 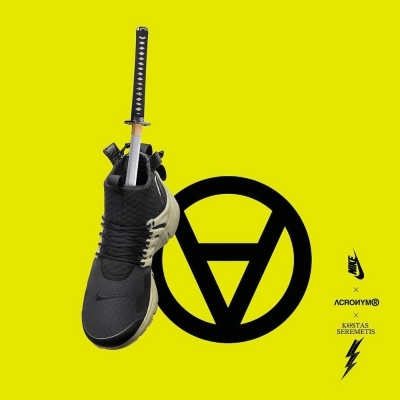 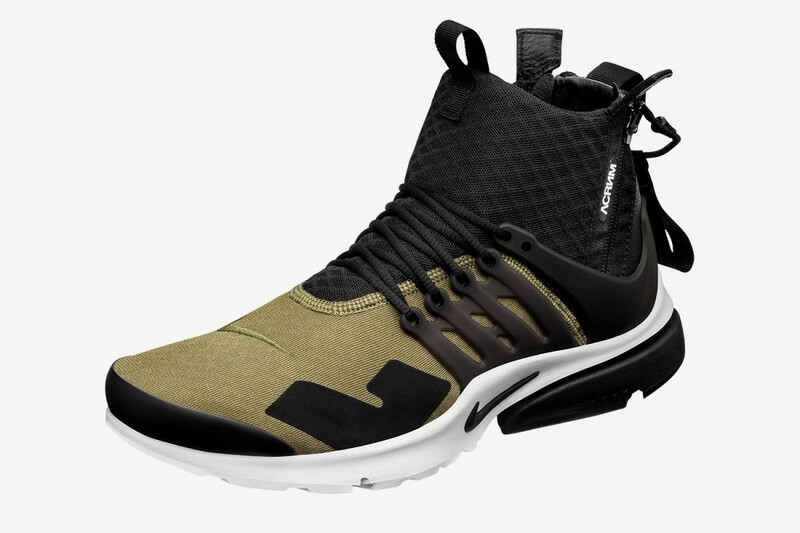 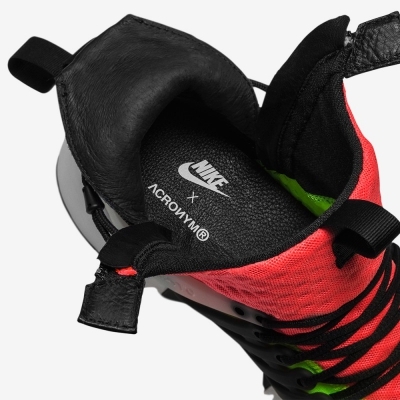 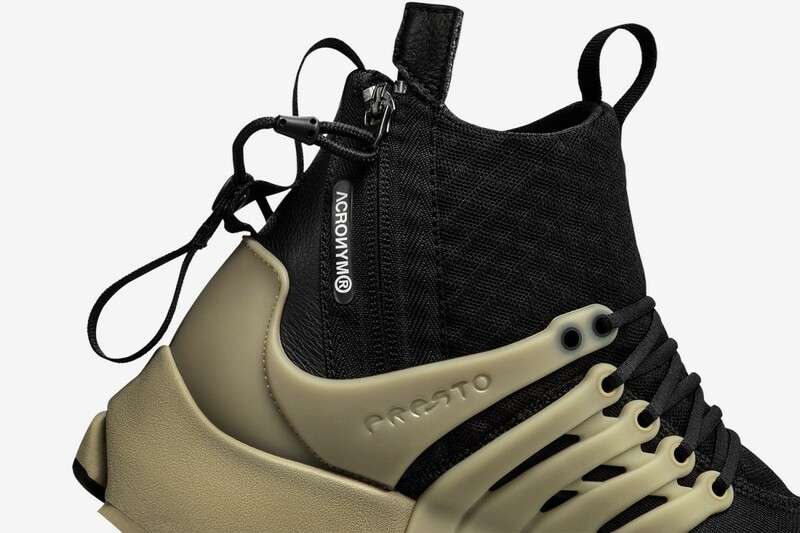 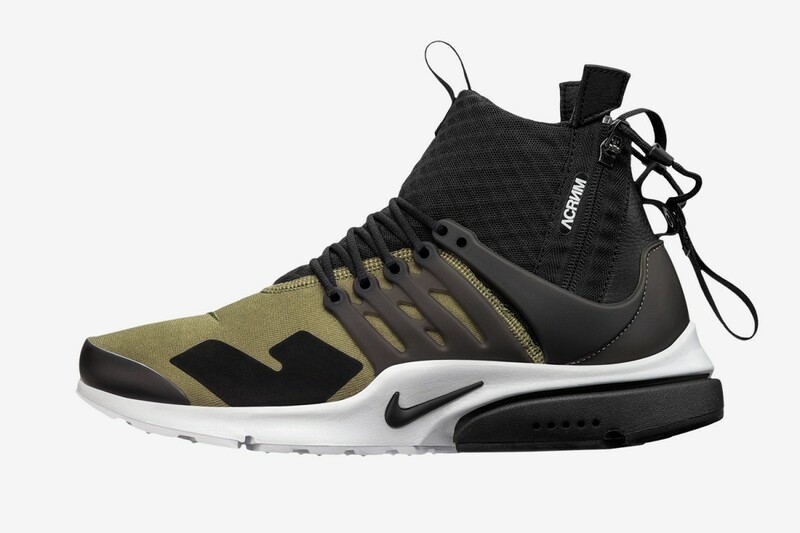 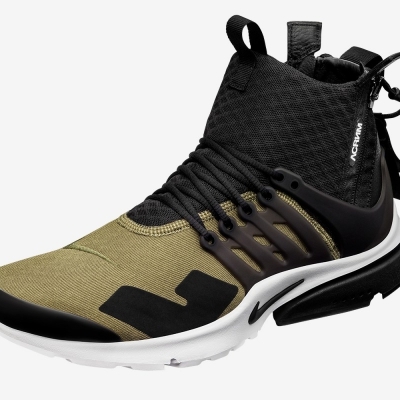 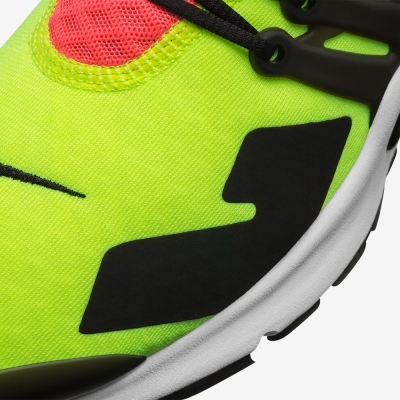 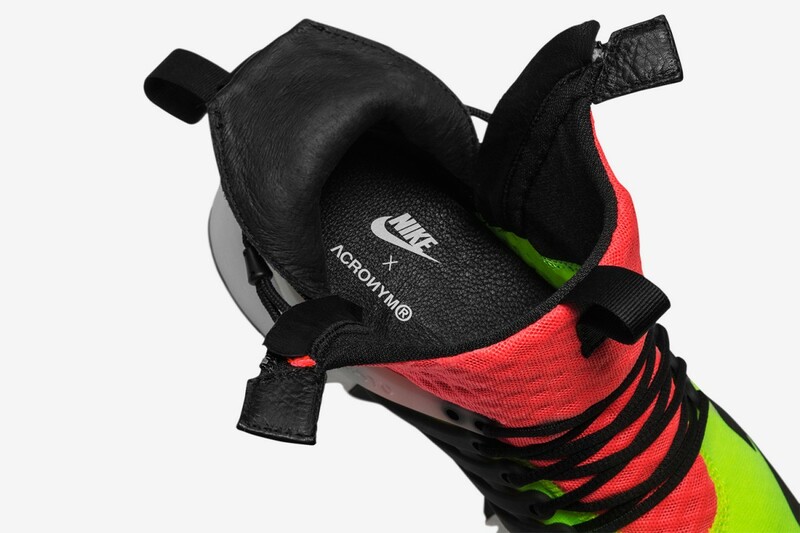 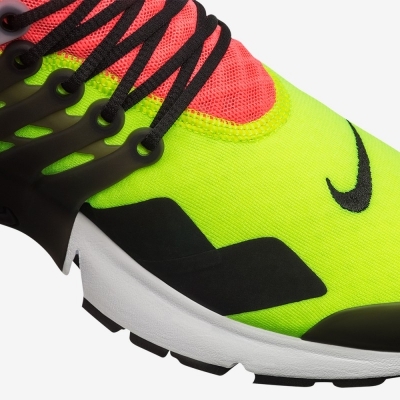 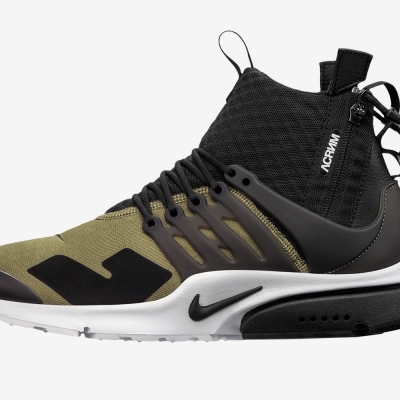 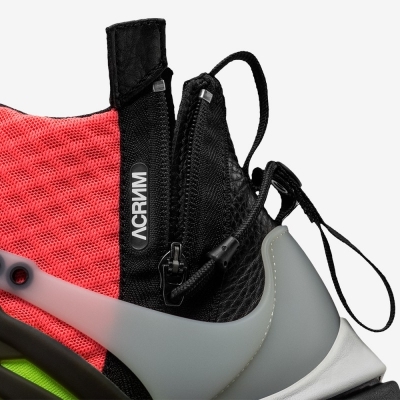 After months of speculation and hype, the release of the highly anticipated Air Presto x Acronym is imminent (UPDATE: the drop is tomorrow, September 15th). 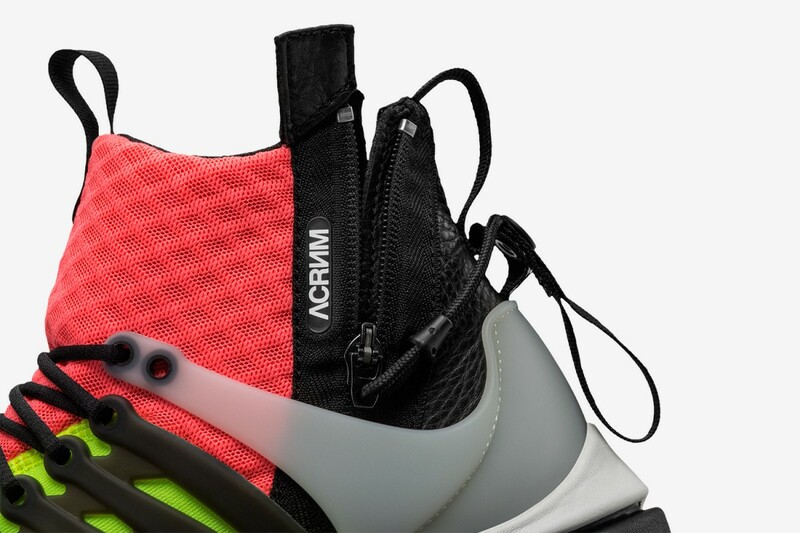 The collaboration suggests a strong affection for color and tech materiality, synonymous with Acronym. 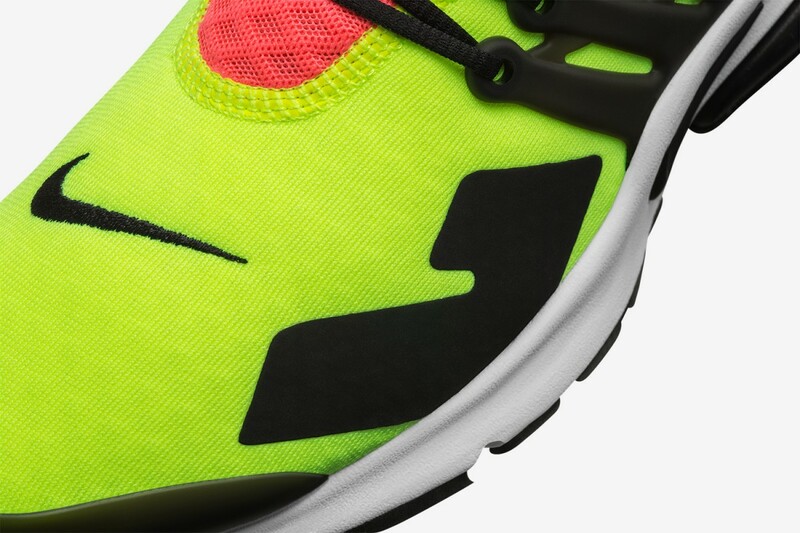 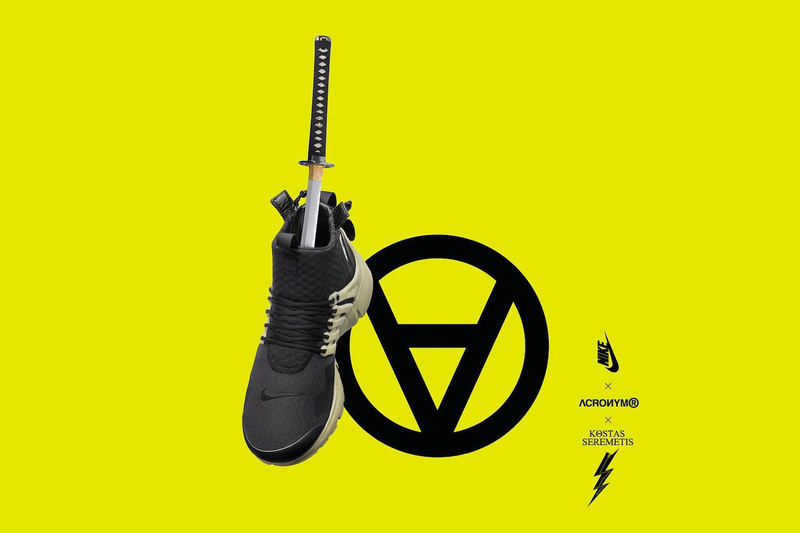 The Air Presto x Acronym represents the second collaboration between Nike and the Berlin-based clothier –building on last year’s successful release of the Lunar Force 1 SP. 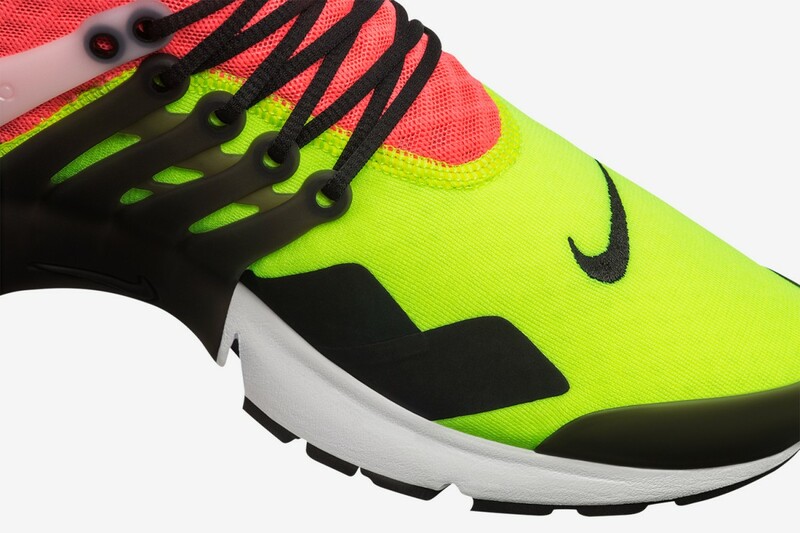 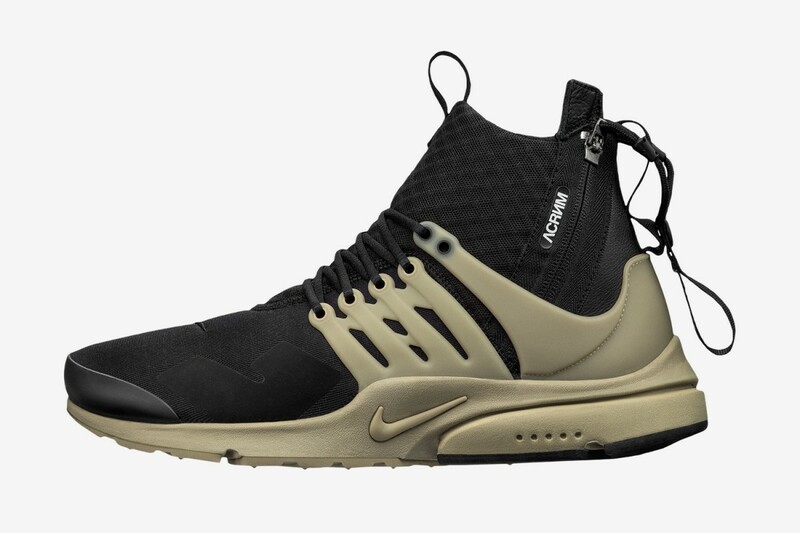 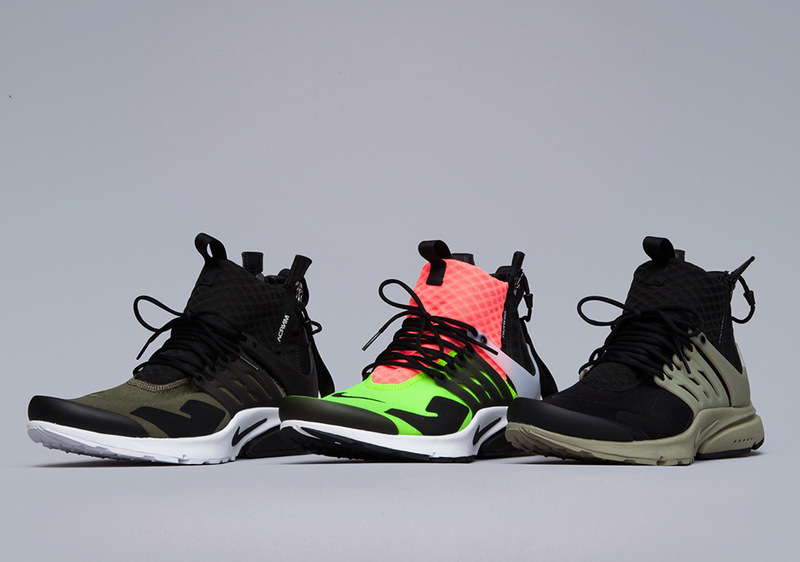 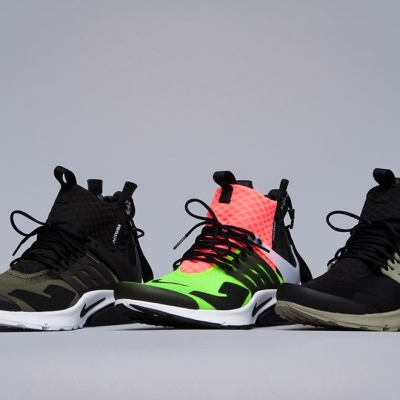 The Air Presto x Acronym will be available in three colorways: Splotch Neon (or Multicolored), Olive/Black and Black/Bamboo. 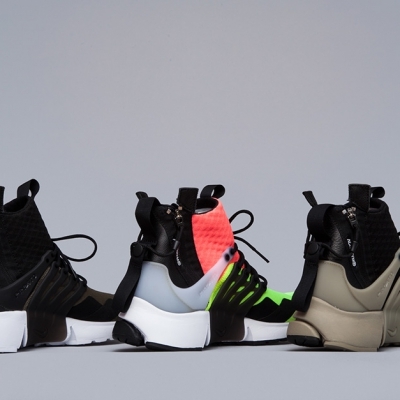 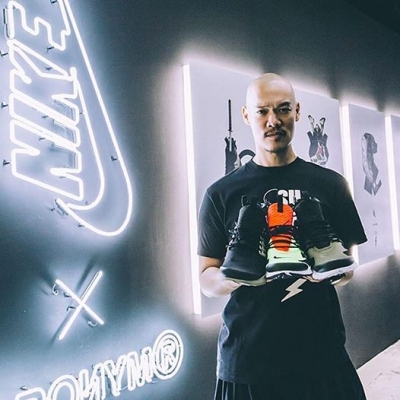 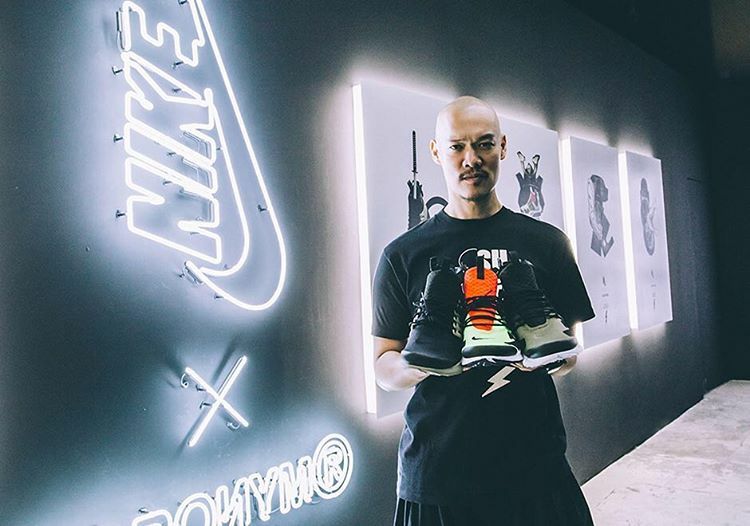 A limited release of the sneakers was sold at a pop-up in Berlin a few weeks ago. 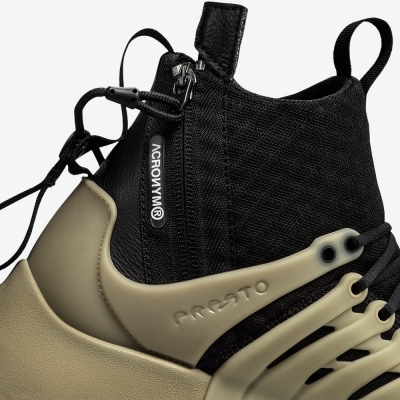 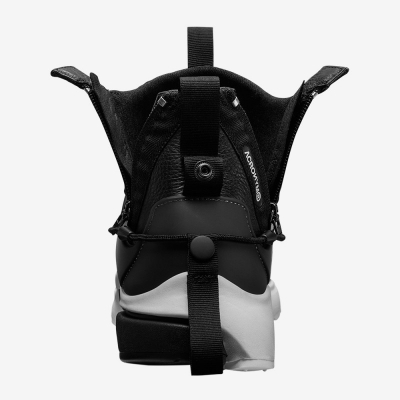 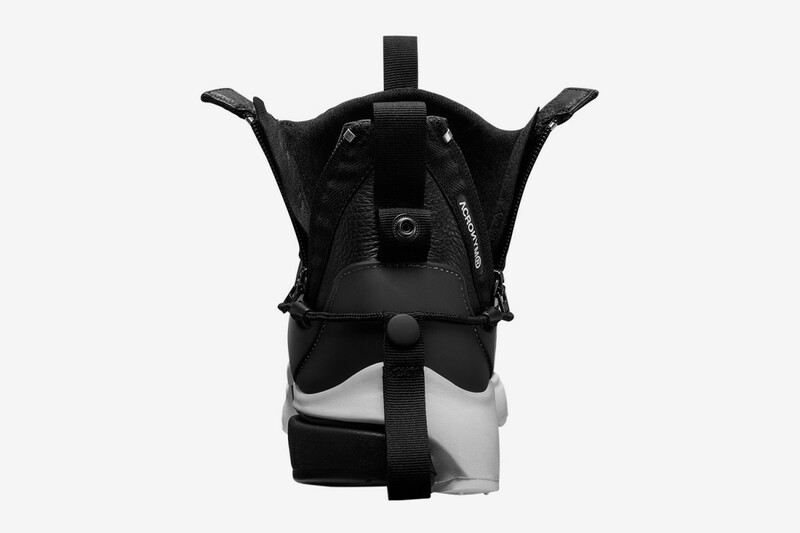 You can expect the release of the sneakers very soon, online and at Nikelab locations worldwide.